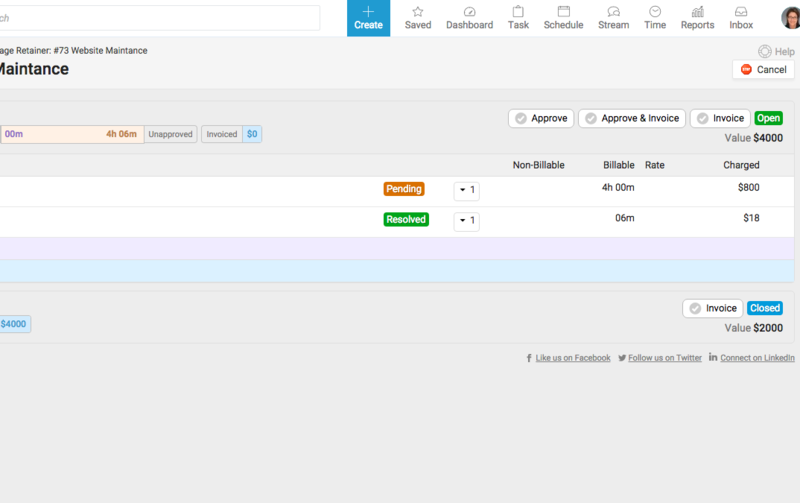 An easier way to track and manage your contracts and retainers. 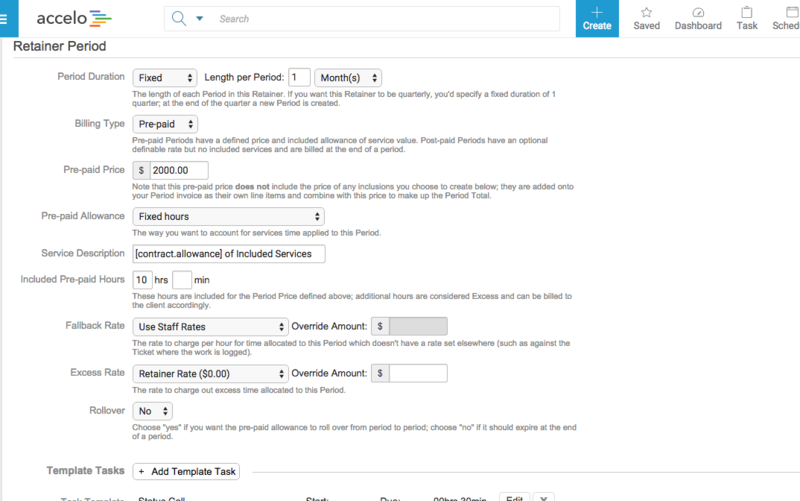 Accelo’s custom retainer and contract management allows you to track your retainers and streamline your processes by setting up flexible allowance types and have them rollover. 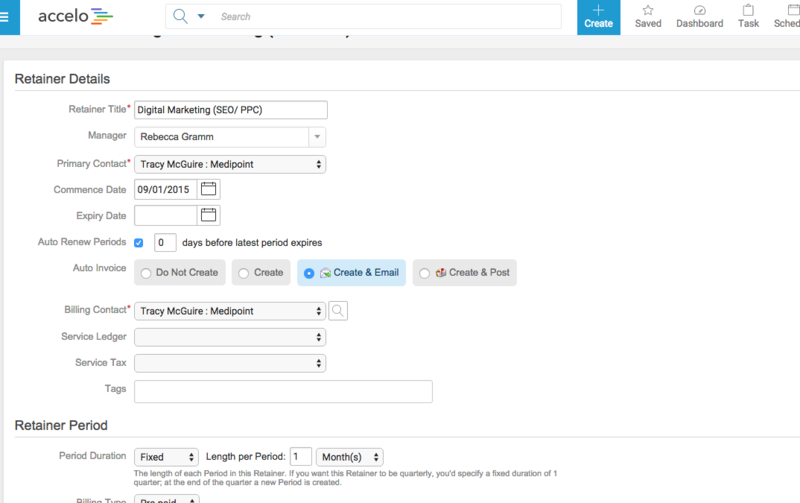 Create unlimited retainer types the way that is right for your business, allowing you to set the roadmap for your recurring work. Stipulate whether an expiring period should roll over unused allowance into the next period. This makes it easy for your clients to keep the hours they purchased with you and use them up the following month. Easily configure the rate you want to charge for different projects or retainers, making it easy for you to override any templated rates associated with reusable templates. 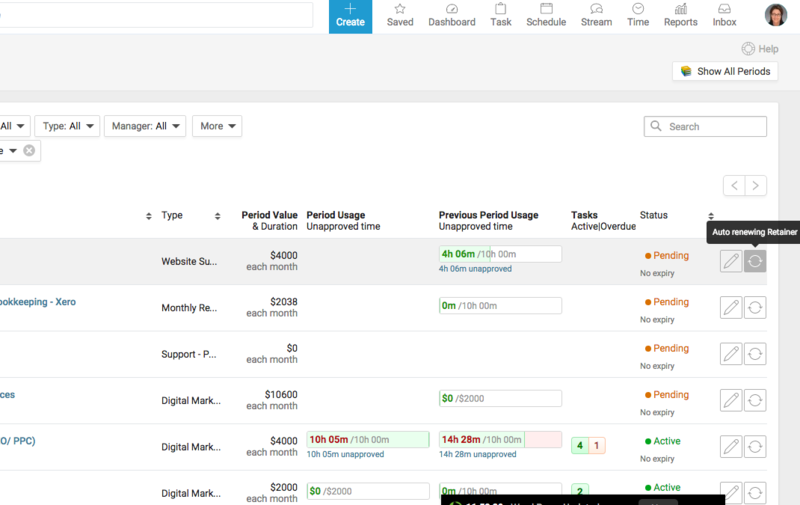 Recurring tasks, plans and budgets will automatically renew, allocating time in your schedule immediately. This takes the pain out of managing your recurring contracts. The management system allows you to easily move time between contract periods and approve the hours tied to contracts from issues, projects and even directly against the contract itself. This allows you to keep a fine-grain eye on your contracts. Receive an automatic email reminder notifying your team when hours on a contract are about to end. Always know exactly how many hours you have left in your retainer package. Receive an automatic email reminder notifying your team when hours on a contract are about to end.